One of the many benefits of having served in the Armed Forces is being eligible to receive a special pension for your retirement. This pension, also called Veterans’ Aid and Attendance, is available to most active service members—including those who may not normally be considered active duty personnel. In addition to former service members of the Army, Navy, Air Force, Marine Corps, Coast Guard, and Reserve services, there are many other types of personnel who may be considered veterans, and are therefore eligible for veterans’ Aid. In addition to being honorably discharged from one of these military services, veterans must meet consecutive active service requirements to be eligible for benefits. 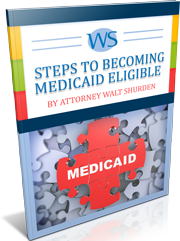 At the Law Office of Walter B. Shurden, we can examine your affairs to determine all the different types of benefits you may collect, as well as help you maintain eligibility to pay for long-term care. Call us today at 877-241-1230 or email us to have our staff contact you as soon as possible.